I just had to open a thread for him. Besides we must invest heavilly in such a kid not just kil our talents as we always do !!! Damn Bayern can't u just c Barca and their products !!!! Gooooo Noah !!! 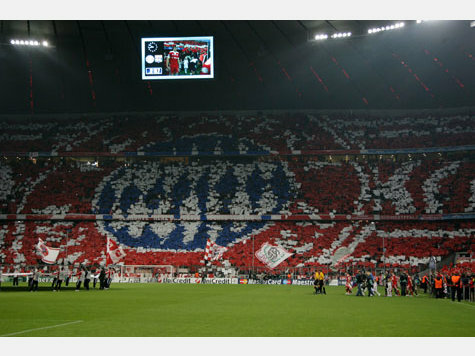 Goo Bayern!! He is only 7 y.o, so we have to wait 10 years to see him play in the first team. That's great talent for a 7 y.o. Last edited by alex84 on Mon Aug 24, 2009 1:17 pm, edited 2 times in total. Does he play for FCB youth team? appudds wrote: Does he play for FCB youth team? Well he is amazingly talented, but it takes more than talent in this business. Even Landon Donovan was voted best player in the U-16 World Cup years ago, we all know where he's at now. There are so many other examples out there, of guys who were very talented but ultimately didn't make it. However, I hope he does the most of his potential and can really play an important role for the first team someday. We should buy every player that is good at age of 17-18-19 and than loan them for 2-3 years to some mid-range club in Bundesliga and if he goes well we should bring him back if not we sell him and make some money because they come cheap at age of 17. I just dont know if that is legal in Bundesliga and dont know how many players can be registered by one club. I think that would be great if we could do that...Imagine we have 10 best wonderkids in Germany and if 1 or 2 of them become superstars we just bring them back to our club:)..and we sell others for more money that we payed for them. I like your idea though.. This made my day, my week and my month.